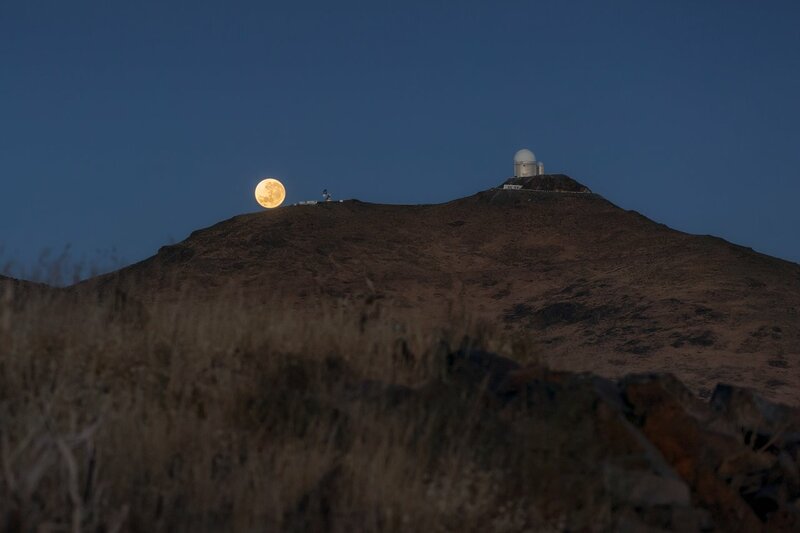 This image captures the moment that a supermoon seemed to rest on top of the Chilean mountains, seen from 4.5 kilometres distance from the summit of La Silla. 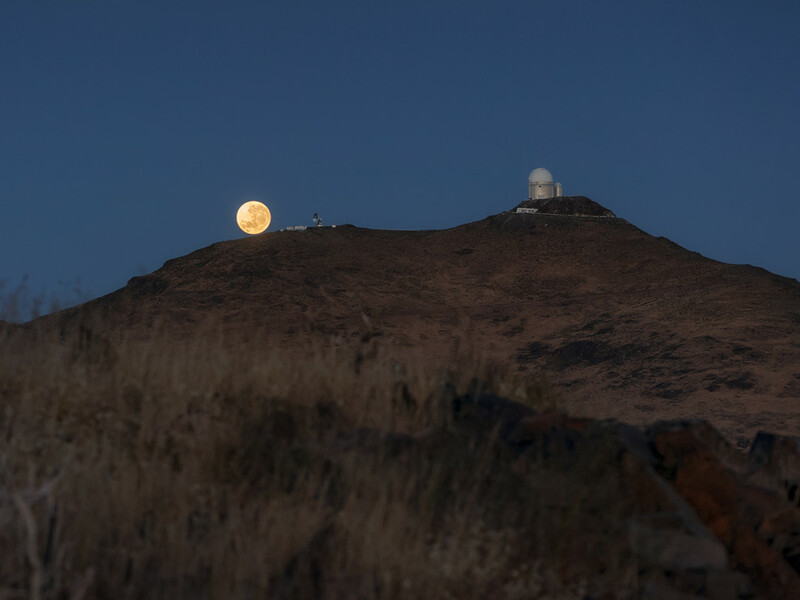 Although not terribly interesting from a scientific perspective, during this relatively rare event the Moon is a little closer to Earth, making its diameter appear about 10% larger in the sky. A supermoon occurs when a full Moon coincides with its perigee — the point in the Moon’s elliptical orbit at which it is nearest to Earth. A full Moon occurs on average every 30 days, and is at its perigee every 28 days. Three or four times a year these two events occur at almost the same time, creating a supermoon. 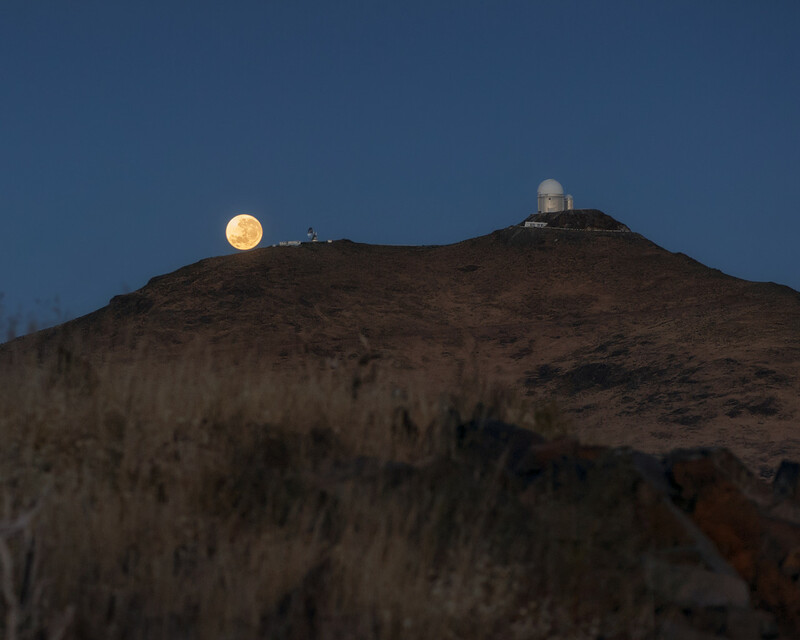 An astrologer, Richard Nolle, first coined the term supermoon over 30 years ago, but it has only recently come into popular astronomical usage. 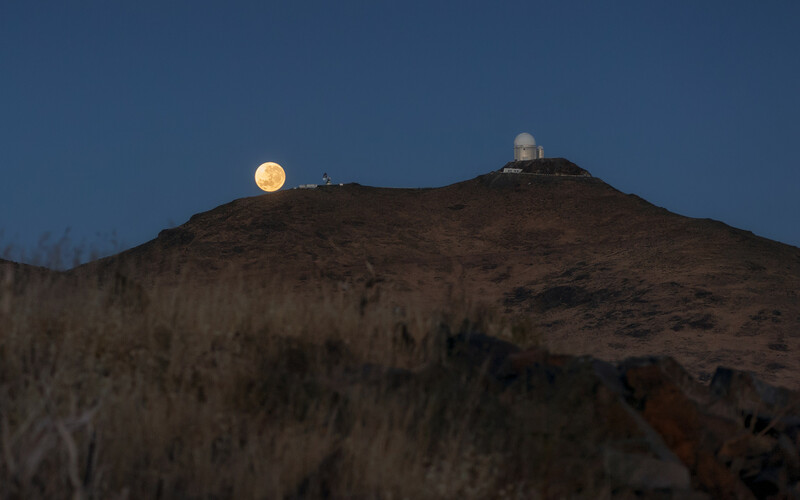 Before they were known as supermoons, astronomers referred to them as perigee full Moons, but neither title has brought with it a precise definition of when exactly the supermoon occurs. No matter what we call them, supermoons — like all full Moons — have real physical effects on Earth. Full moons act with the Sun to create larger than usual tides, known as spring tides. But when the full Moon is also at its perigee, its gravitational pull is even larger and Earth’s tides become ever bigger, known as perigean spring tides.